You can receive a Jacksonville traffic ticket for a variety of moving violations. The most common citations are Florida speeding tickets. A speeding ticket is a civil traffic infraction that can result in the Department of Highway Safety and Motor Vehicles putting points on your drivers license. If you do not pay your tickets, your Florida drivers license will be suspended. 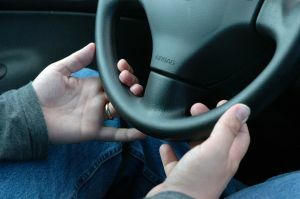 If you pay your tickets and accumulate too many points, this will also result in a Florida drivers license suspension. If you receive a ticket for a moving violation, you should speak to a Jacksonville drivers license attorney about your options. You may call (904) 564-2525 to talk to a Jacksonville lawyer with traffic court experience. There is more to this Florida drivers license law. Visit the Florida Statutes for more information.